Not sure where to get your new Honda search started? You've come to the right place! Here at Brandon Honda we have a wealth of resources we're eager to share to ensure you find the Honda Accord Hybrid that complements your Florida lifestyle! Looking for a rugged mode of transportation that sports some serious horsepower and can dominate whatever road conditions life throws in your path? Read all about the specifications of the new Honda Ridgeline now to determine if it suits your needs! 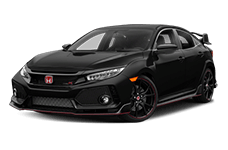 No matter which Honda model you ultimately decide to go with, you can rest assured you're making a smart investment by leasing or purchasing a model from this brand. Honda is known for its reliability, safety and comfort so you're able to enjoy your ride for years to come! Should any questions arise during this research phase don't hesitate to contact us, we are always happy to lend a helping hand! Does the 2016 Honda Fit appeal to your senses? Give us a call to slide behind the wheel for an invigorating test drive! We encourage you to make the quick trip over to our convenient Honda dealership to experience the responsive handling of this vehicle for yourself! When you've arrived be sure to stop by our finance department to learn all about the comprehensive financial packages we offer and don't forget to ask our sales department about the current new car specials we have taking place! Eager to get this process started? No problem, we've made our secure credit application available online so you can fill in all your details now! Here at Brandon Honda we are always looking for ways to save our customers some money and our driver friendly price tags are only further enhanced by our aggressive specials offers. Learn all about the model you're interested in right here on our website and make the trip over from Clearwater, FL to explore all your options on-site! Our knowledgeable staff looks forward to going over the safety specifications of the ride you're interested in as well as any add-on features that will enhance your Lakeland lifestyle. 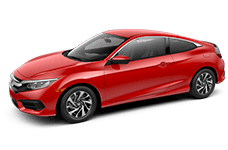 Don't put off your new car search any longer, read all about your top choices right here and head over to Brandon Honda for a test drive!